Resistive touch screens respond to the touch of almost any object. To test if a screen is resistive use the plastic end of a pen. If the screen is activated, it is resistive. 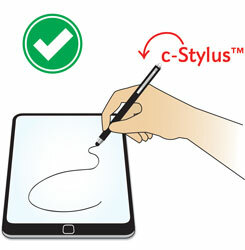 Capacitive touch screens only respond to the touch of a finger or special styluses. 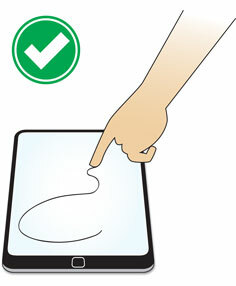 The iPhone and iPad are examples of capacitive touch screens. iPhone and iPad are a trademark of Apple Inc.